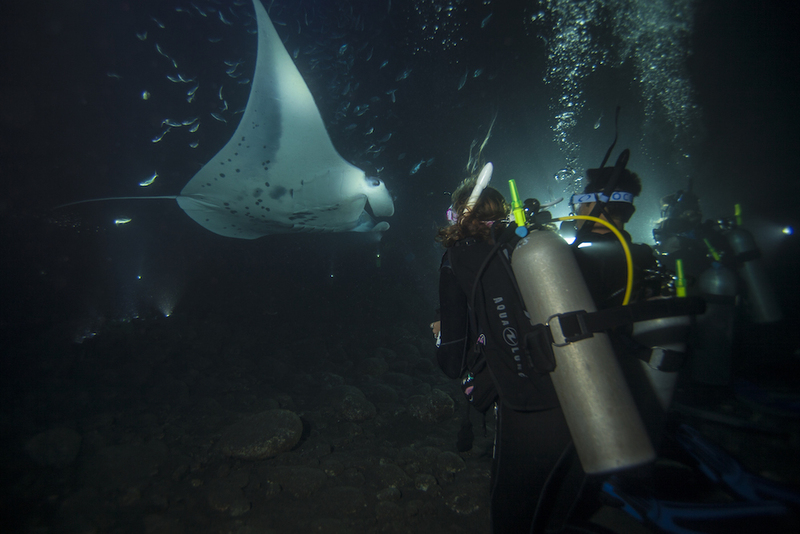 Diving at night isn’t just cool, it’s also the chance to witness nocturnal marine life on the prowl. 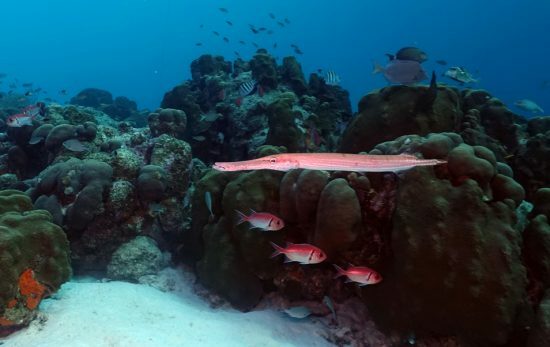 Animals like eels, lobsters, shrimps, crabs and octopuses can be seen during the day, but typically they’re laying low, waiting for nightfall when they leave their assorted lairs to hunt. And, in addition to seeing these new behaviors, the experience of night diving makes anyone a stronger, safer buddy in the water. Because if you can dive in the dark, you’ll also be more comfortable in low-light, overhead and other environments. The Caribbean’s shore diving capital is known for gently sloping reefs, which bring easy shore entries and gradual descents. 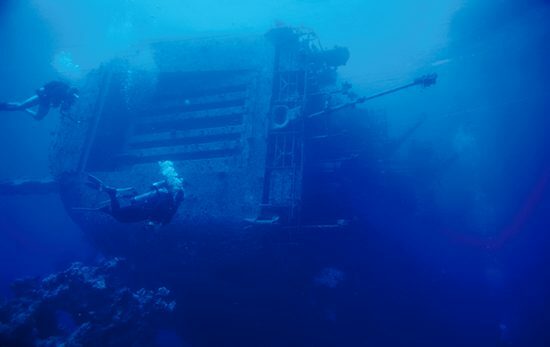 Those features make it a great destination for divers to earn Open Water certifications—and they can make for a calm, relaxed setting ideal for learning how to become comfortable diving in the dark. Plus, once you finish your PADI Night Diver certification, you and a buddy can keep diving in the dark on your own schedule, as shore diving is available 24/7. Divers who work toward their Night Diver certifications on Kona can opt for an unforgettable reward afterward. 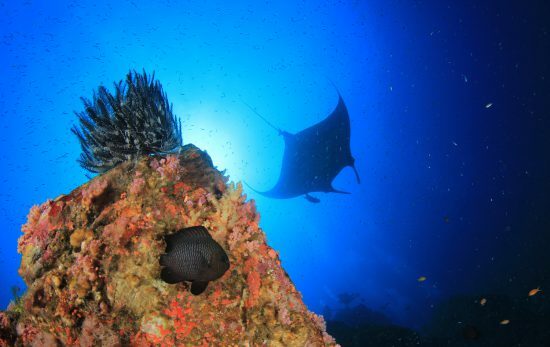 Of course, you don’t have to have your Night Diver certification to experience the manta ray night dive, this island’s most famous underwater attraction, but choosing this as your post-course grand finale means that you’ll be all the more comfortable in the water and in the dark, getting so much more from the experience of watching dozens of mantas flying overhead. Everywhere on the globe that there’s coral, there are coral-spawning events. Grand Cayman just happens to be a great place to watch these polyps get down thanks to marine biologists who’ve tracked the event down to a two-day window, typically in September. Granted, the rest of the year, this dive-centric island has other in-the-dark thrills, including ultra-violet glow diving wherein special lights make the corals appear to glow, highlighting their movements as they feed. 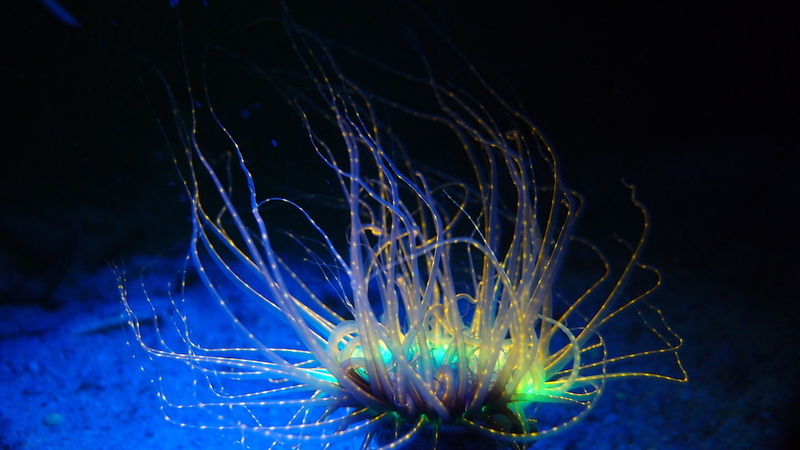 Dive centers on the island of Koh Tao also offer fluorescent diving wherein each diver wears special visors over their masks, enabling them to see the coral lit up under high-intensity lights. 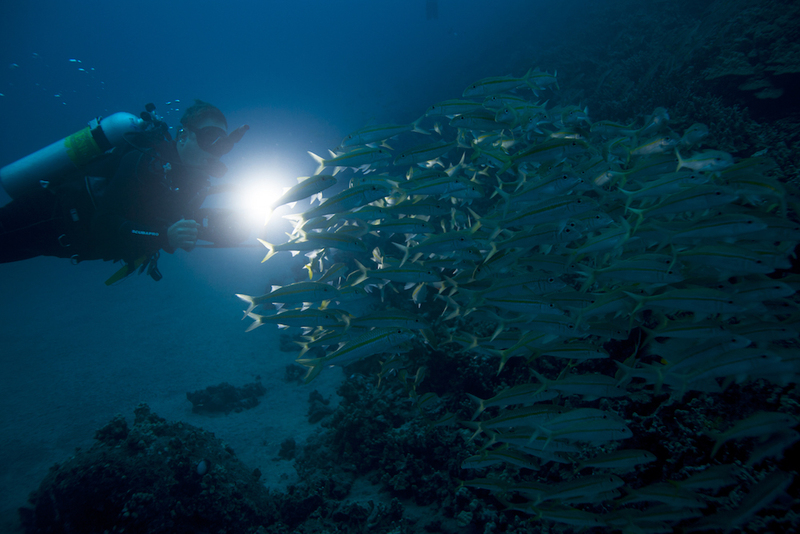 This lighting will show you what you’ve been missing—if you’ve been on a night dive before. Crabs and other invertebrates pop against the blackness, and the action of the corals feeding is also much more vibrant. 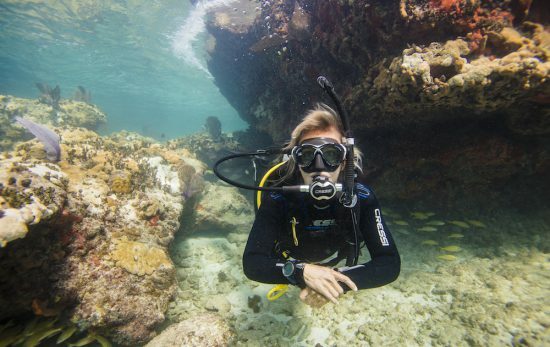 Nassau’s year-round visibility of 60 feet and greater, as well as water temperatures averaging 78 degrees, make it a good choice for any diver — including budding night divers looking to get comfortable in the water. And, those who finish the night diver certification can now opt into a nighttime shark dive — a truly thrilling experience. 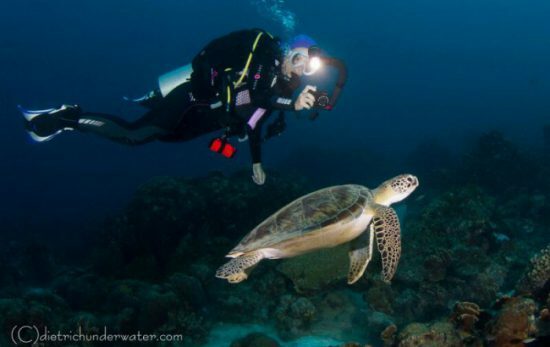 Learn more about the PADI Night Diver certification course.